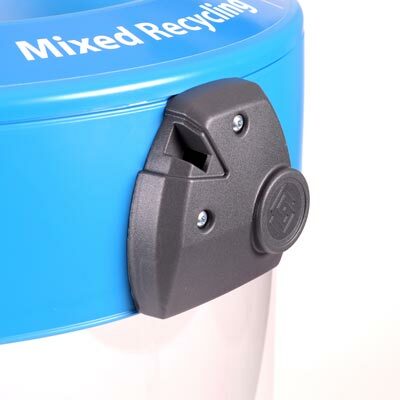 The C-Thru 50G Paper Recycling Bin is a large capacity, clear receptacle that can be conveniently assembled & dissembled for ease of use and storage. The C-Thru 50G Paper Recycling Bin features a transparent polycarbonate body which has been purposely-designed for environments where security is paramount. The receptacle allows full inspection of contents and complies with Department of Homeland Security Directive RAILPAX-04-01. 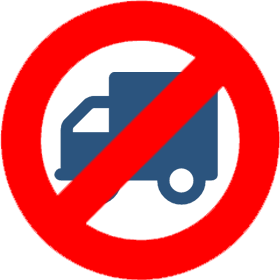 The large capacity of the C-Thru 50G means it is ideal for collecting material in high traffic areas and can help to reduce the amount of trash that is taken to landfill. The dedicated apertures and distinguishable decals reduces the risk of contamination and encourages users to deposit their waste correctly. 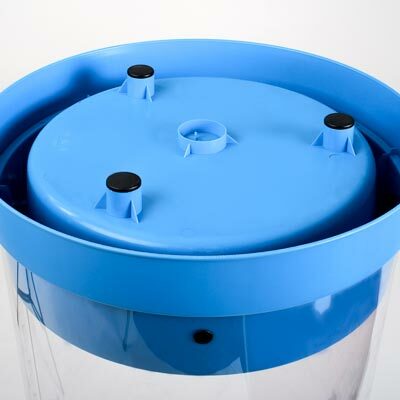 The aperture lids are also conveniently snap-fitted onto the lid ring, which makes them interchangeable if you wish to collect different types of waste. 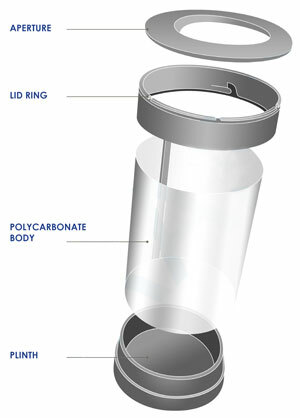 The C-Thru 50G comes standard with a lift on, lift off lid ring and aperture. A key lock system is also available to provide additional security. Dedicated aperture for paper waste to reduce the risk of unwanted deposits.